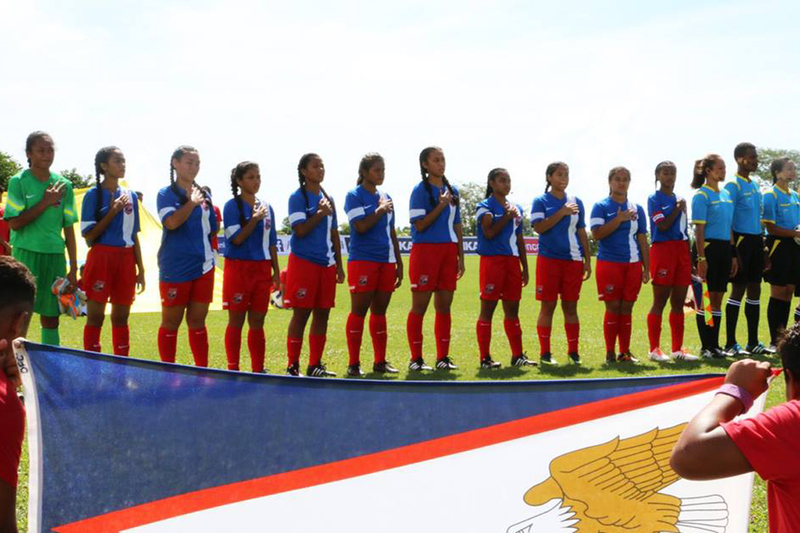 Cook Islands have defeated American Samoa 4-0 on the second day of action for Group B at the OFC U-16 Women’s Championship 2017. American Samoa: 23. Zena FOMA’I (GK), 2. Maricar PARUNGO, 3. Nancy SATELE, 4. Jane FAUMUINA, 6. Aileen IEREMIA, 7. Mercy SEIU, 8. Diedra STEFFANY, 9. Blanche HERRERA, 10. Elcy NAOLAVOA (C), 11. Oloataua TOFAEONO, 13. Lima MAUGA. Substitutes: 1. Maraea NAUTU (RGK), 5. Princess FEGAUIA’I, 12. Agnes SIAOSI, 14. Jodynn LIU-KUEY, 15. Faafeu AMISONE, 16. Olyanna TAASE, 17. Jessica SATELE, 18. Mykaela PAOLO, 19. Lourdes AFOA. Cook Islands: 1. Dora IRIPA (GK), 3. Teretia TEINAKI, 4. Ngame TARINGA, 5. Tia TUIVAGA (C), 6. Esther POTORU, 7. Piri MURARE, 8. Tehinnah TATUAVA, 9. Viorangi KITE, 10. Keana MAAKA, 11. Merran MUNRO, 12. Nathalia VIKING.